Sit back and relax. We’ll worry about your insurance so you don’t have to. Being 100% independent of any one company means that Ruffcorn Insurance can work on your behalf to find you the best possible combination of price and coverage. Ruffcorn has the best insurance rates in the tri-state area — gotta give them a try; cut my homeowners in half. Ryan is an awesome agent who gets me the info I need quickly. It is what I tell everyone about him. 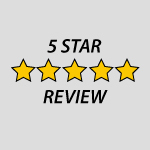 We appreciate your business as a valued client, and are here for you for whatever you may need. Whether it's an ID card, policy document, renewal review, or claims situation — we've got your back. Ruffcorn Insurance makes the process of finding the best insurance coverages and pricing easy again. You can start your quotes right here from our agency website, or call us directly. Either way, we appreciate the opportunity to earn your business! Ruffcorn Insurance has a wide range of options when it comes to insurance companies. We do business with only "A" rated (or higher) companies, so you can rest assured that you're with a strong company.